Tessa Wolfe Murray studied Fine Art at Ravensbourne College of Art followed by a postgraduate course in Ceramics at Goldsmiths College. She set up a studio at 4011/2 Workshops on leaving, combining her Ceramics business with part-time teaching in Adult Education. She left London for Yorkshire to share a studio and work part-time for ceramicist Anna Lambert, then moved to a multi-discipline studio in Leeds to concentrate full-time on her own work. Throughout this time she supplied shops, craft and fine art galleries in the UK and made contacts in Europe through participating in Ceramic Fairs in Holland and Belgium. It was also a time of productive collaboration with the Conran Shop, designing and making ranges of vases and lampbases which were sold in their shops worldwide. A commission to make 20 vases and dishes for an Ikebana exhibition in Kyoto, Japan proved to be an exciting challenge resulting in the development of several new designs in her own work. 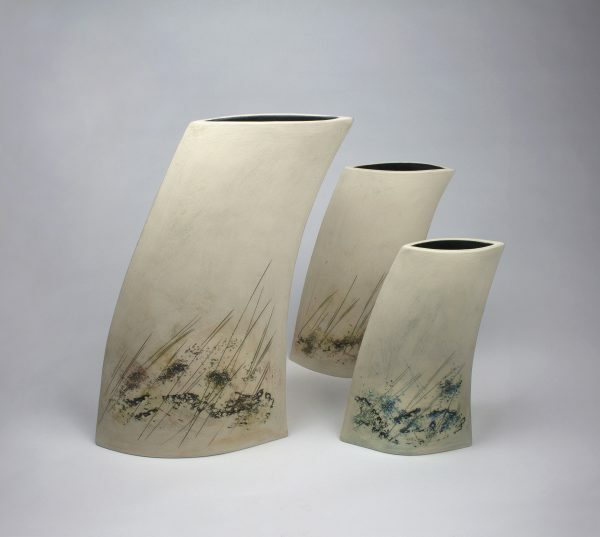 In 2001 she moved to Biscuit Studio in Hove which she shared with ceramicist Kellie Miller. She is now based in a new studio in Lorna Road, Hove.